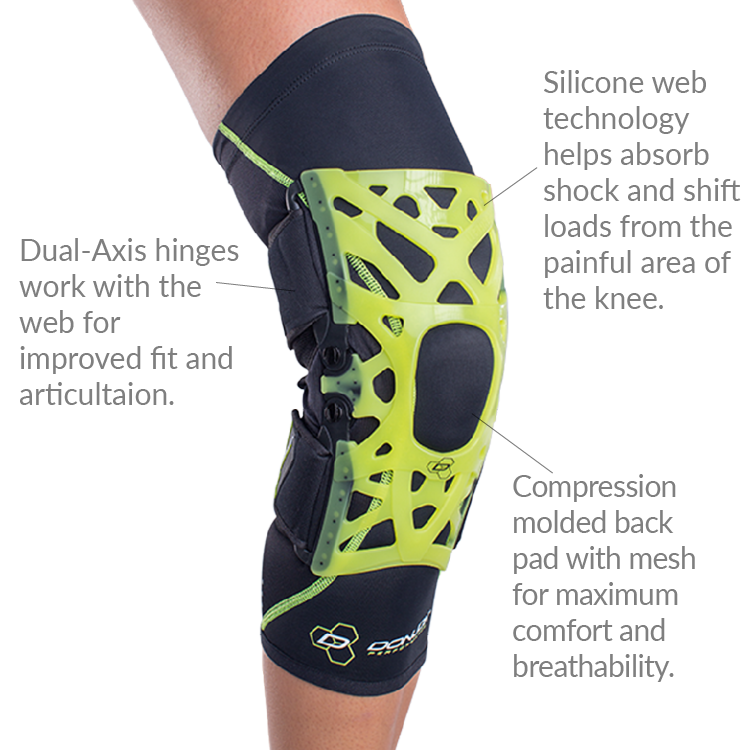 Our DONJOY Performance Webtech Knee Brace features an innovative three part system that is ideal for relieving common forms of knee pain often associated with sports injuries, overuse injuries and degenerative conditions. Patented silicone web technology works to suspend, align and cushion the knee joint structure, an ergonomic compression molded back pad adjusts easily to optimize fit and comfort, and a four way stretch lycra/mesh undersleeve eliminates hot spots and provides an added layer of protection. This unique combination delivers one of the lightest, most breathable and comfortable knee braces available today, a true shock absorber for your knee. 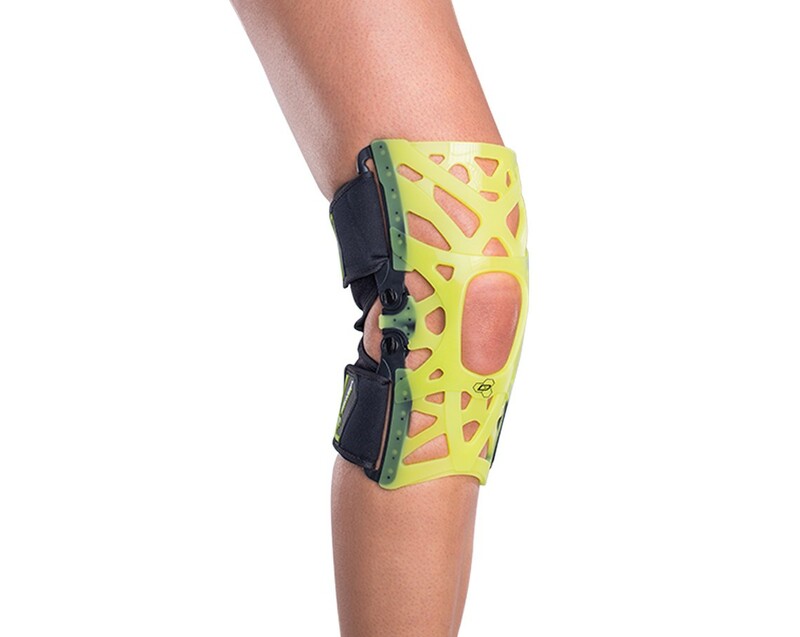 View all DonJoy Performance products or our full selection of supportive knee braces. A really good knee brace! I have used the Webtech knee brace for a few weeks as I have knee pains and I have to say it's one of the best braces I have ever tried. Not only is it lightweight and comfortable, it provides great support to the knee as well. I no longer feel any pain when I walk.